Clear your floor and lay out everything you have to put up on the walls. Now try out various arrangements of your items before you start banging nails and screws into the wall. bear in mind that small pieces work well when grouped together, whereas larger items might need to stand alone to look their best. Experimenting will point you in the right direction. 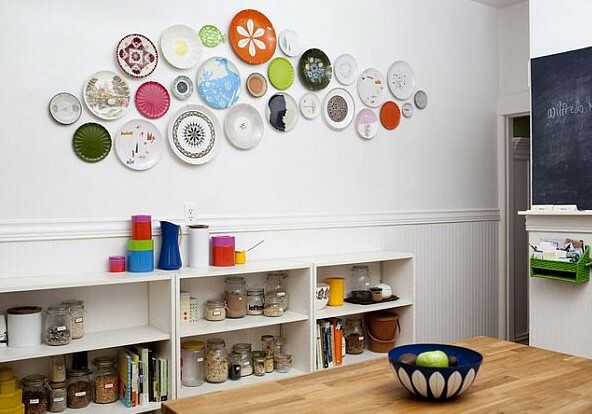 Pictures, plates and mirrors look great all mixed up together, but you could also hang them in separate groups. For example, putting lots of vintage mirrors together on one wall can be really effective. 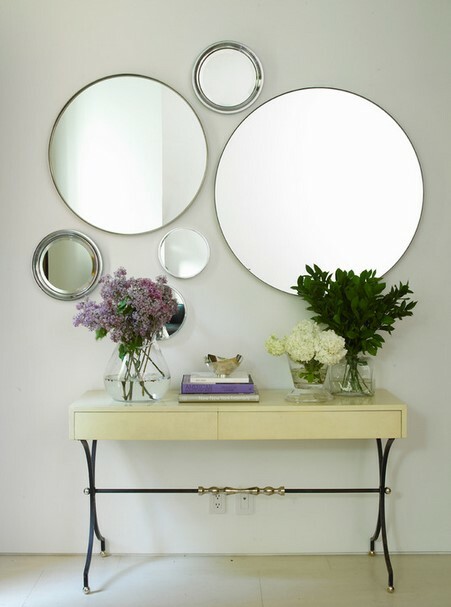 The impact of two vintage mirrors above a dresser can be much greater than it would be achieved with only one. 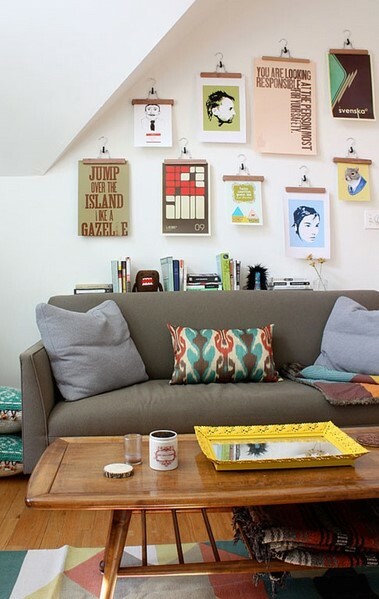 The same applies to hanging pictures as it does to displaying collections – look for colours, patterns and textures that complement each other and work well together. 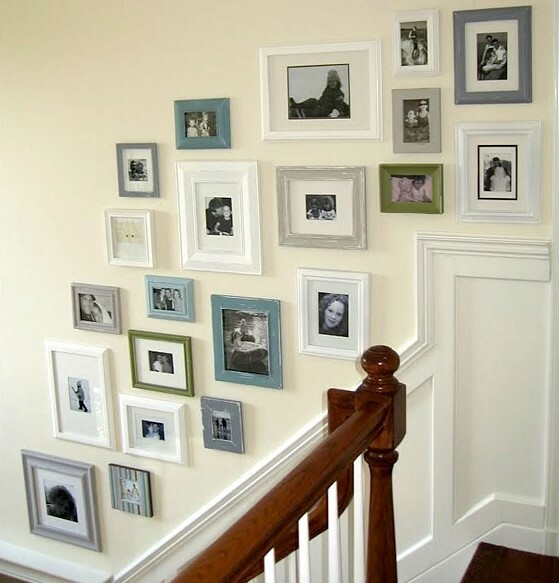 If you can’t make this work to your satisfaction, remember that similar-coloured frames will unite disparate pieces. Once you are feeling pretty confident that you have arrived at the best layout and grouping for your pictures, you should take the following step before you make a single hole in the wall. take a large piece of paper and draw around the outline of each picture. Cut out the shapes and you have templates of everything that might go on the wall. 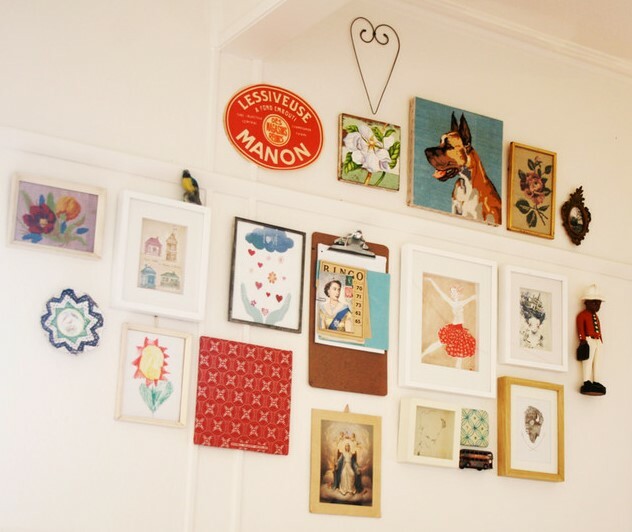 Using non-marking Blue-Tack, hang your templates on the wall where you think they should go. This gives you the freedom to move them around until you have the right grouping and spacing. It sounds like a lot of effort, but it is worth putting in the groundwork before you start hammering holes into your walls. Note that this is really a two-person job, so rope someone in to help. 1. Hang them at eye level so they can be seen – that’t the whole point! 2. Pictures also look good if they are close to a piece of furniture. Arranging a group of them just above a sofa or side table, for example, avoids that disembodied, floating-high-up-the-wall look. 3. If hanging a large picture or mirror above a mantelpiece, keep the bottom edge of it close to mantel. 4. Imagine a line down the middle of your wall, splitting it in a half. 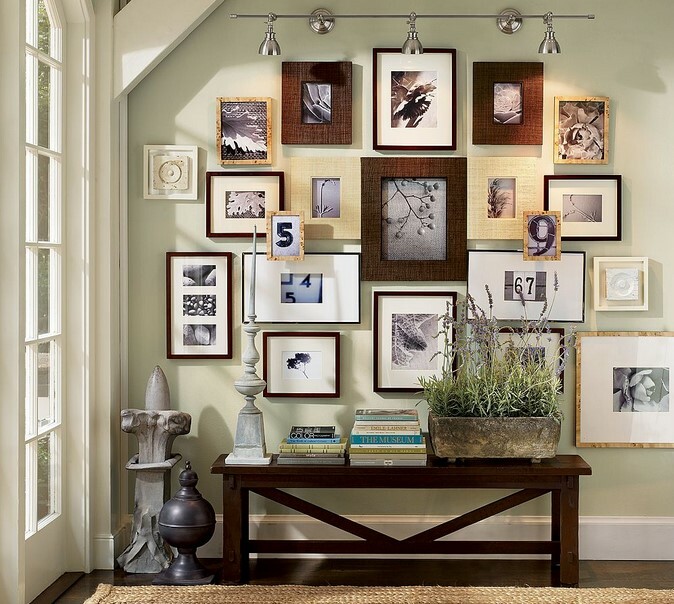 Hang your pictures on either side of the line, balancing each side up symmetrically. Make sure you use a tape measure and spirit level to give this look the precision it needs. 5. 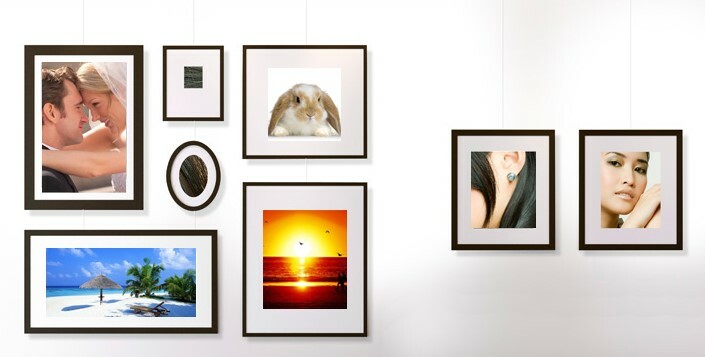 If you prefer a more central arrangement, try putting the largest picture in the middle of the wall and placing smaller pictures around it, going outwards and upwards. This type of arrangement looks good over a sofa, sideboard or any large focal point in your room, and works well when your picture frames are a variety of shapes and sizes.